Insert signs and symbols to make each line a true equation. Hint: You can use square roots and cube roots. 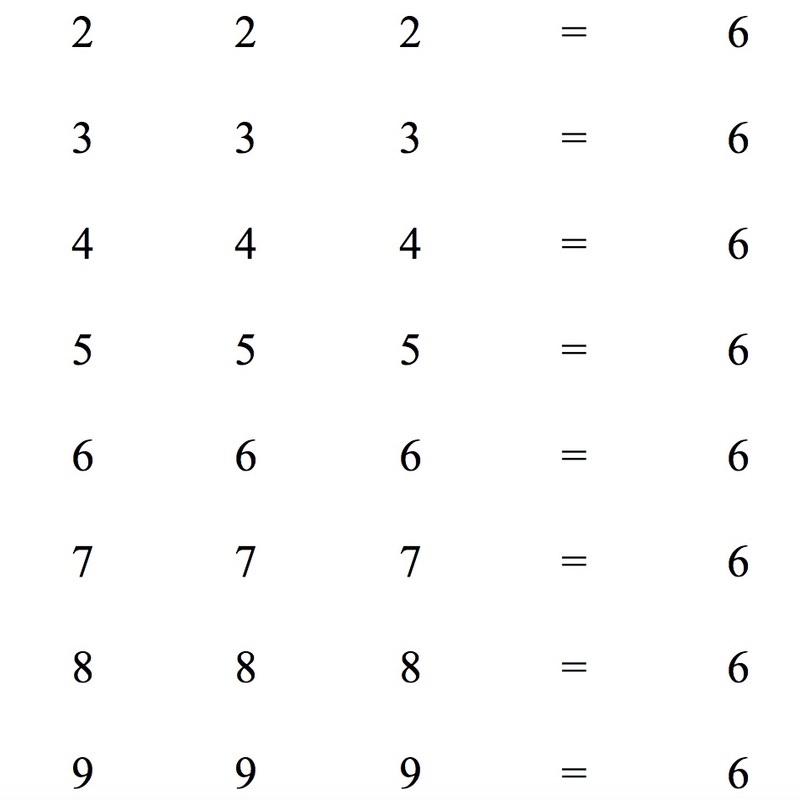 As an extension you could investigate the factorial sign on your calculator and use factorials to answer the same questions for 0 0 0 = 6 and 1 1 1 = 6. For example 1! = 1 and 4!= 24.